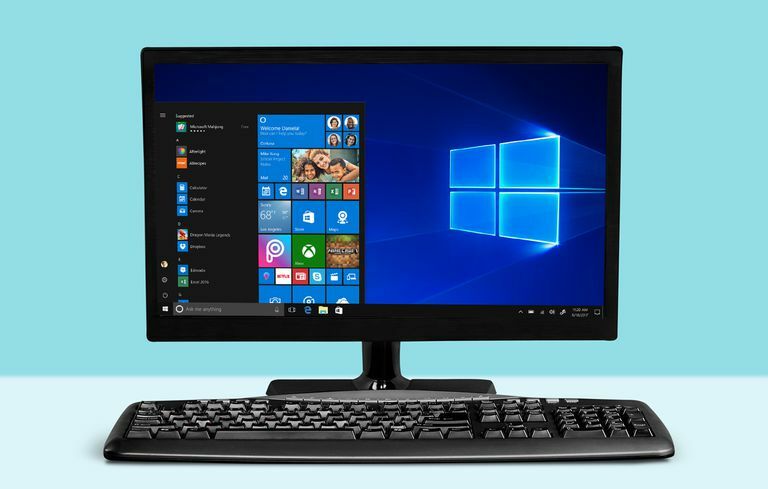 If you upgraded your computer to Windows 10 and have since decided you don’t like it, you can return the PC to its previous operating system. How you remove Windows 10 depends on how much time has elapsed since you switched though. If it’s within 10 days, there’s a Go Back option that makes it easy to revert to Windows 8.1 or even Windows 7. If it’s been longer than that or if the installation was a clean one and not an upgrade, it’s a little more complicated. Before you downgrade to Windows 7 or revert back to Windows 8.1, you need to back up all the personal data you have on your Windows 10 machine. Remember, whether or not that data would or could be restored during the reversion process isn’t important; it’s always better to err on the side of caution when performing tasks like these. There are many ways to back up before you uninstall Windows 10: manually by copying your files to OneDrive, to an external network drive, or a physical backup device like a USB drive. Once you’ve reinstalled your older OS you can copy those files back to your computer. You can also use the Windows 10 backup tool if you like, although be wary about using this as the sole backup option; you might run into compatibility issues with an older OS while trying to restore. In addition, you may want to back up program installation files for the applications you would like to continue to use. Third party applications (like iTunes or Picasa) won’t be reinstalled during the reversion process. If you’ve downloaded those files from the Internet, the executable files may be in your Downloads folder. You can always download program files again though, if you’d rather. You might have older programs on DVDs too, so look for those before continuing. If any of these programs require a product key, find that as well. Finally, locate your Windows product key; this is the key for Windows 7 or 8.1, not Windows 10. This will be on the original packaging or in an email. It could be on a sticker on the back of your computer. If you can’t find it though, consider a free product key finder program. If you want to revert to Windows 7 or downgrade to Windows 8.1 within 10 days of installation you can, because Windows 10 keeps your old operating system on the hard drive for that length of time. If you’re within that 10 day window, you can revert to that older OS (Windows 7 or 8.1) from Settings. Click either Go Back to Windows 7 or Go Back to Windows 8.1, as applicable. Follow the prompts to complete the restoration process. If you don’t see the Go Back option it may be because the upgrade took place more than 10 days ago, that the older files have been erased during a Disk Cleanup session, or, it could be that you performed a clean installation instead of an upgrade. A clean installation erases all of the data on the hard drive so there is nothing to revert to. If you find that this is the case, follow the steps in the next section. If the Go Back option isn’t available in Settings > Update & Security > Recovery, you’ll have to work a little harder to get your old operating system back. As noted earlier, you should first backup all of your files and personal folders. Be vigilant here; when you perform these steps you’ll either be returning your computer to factory settings or installing a clean copy of your previous operating system. There won’t be any personal data (or third party programs) on the machine after you finish; you’ll have to put that data back on yourself. With your data backed up, decide how you’re going to perform the installation of the previous operating system. If you know there’s a partition on your computer with a factory image, you’ll use that. Unfortunately, there might not be any way to know that until you follow the steps outlined here. Otherwise (or if you aren’t sure) you’ll need to find your installation DVD or recovery DVD, or, create a USB drive that contains the installation files before you start. Note: To create your own installation media, download the disk image for Windows 7 or Windows 8.1 and save that to your Windows 10 computer. Then, use the Windows USB/DVD Download Tool to create the media. This is a wizard and guides you through the process. Navigate to the factory partition, the USB drive, or the DVD drive as applicable. Complete the installation of the replacement OS.